With today's workforce becoming increasingly mobile, employees expect to be able to collaborate from anywhere, with anyone, on any device. Unfortunately, older communications platforms can’t keep up with these demands. 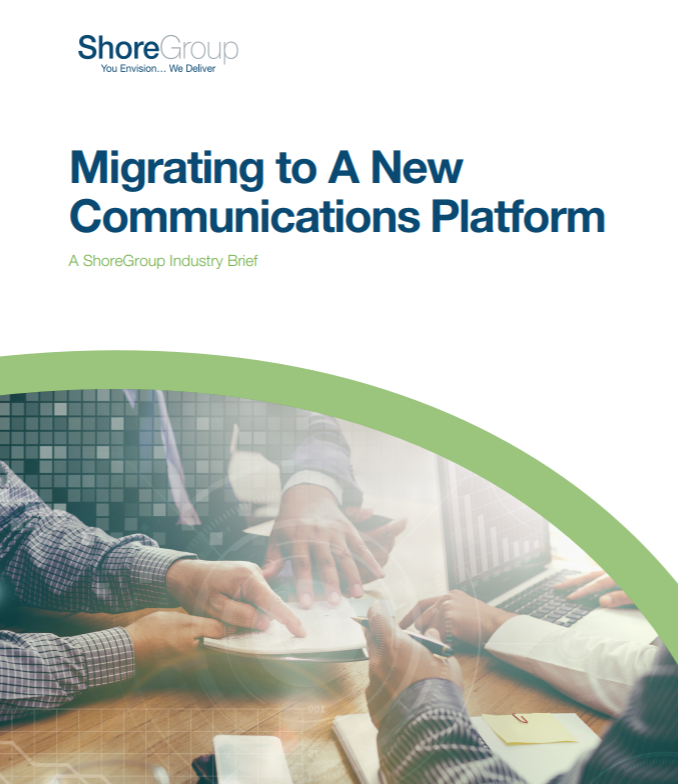 Upgrading your communications platform is necessary to keep your business moving forward, but migration can be challenging and time-consuming. ShoreGroup's proven project management migration methodology that will align with your business communication strategy. ShoreGroup's managed services to ensure optimal performance and reliability of both your application and service delivery infrastructure. Questions to consider when choosing a migration partner.